Situated in La Cumbre, this golf lodge is 0.8 mi (1.2 km) from La Cumbre Golf Club and 1.5 mi (2.3 km) from Church of Our Lady of Carmen. Los Cocos Park and Molino de Thea are also within 9 mi (15 km). Nestled on the beach, this La Cumbre hotel is within 1 mi (2 km) of Church of Our Lady of Carmen and La Cumbre Golf Club. Los Cocos Park and Molino de Thea are also within 9 mi (15 km). 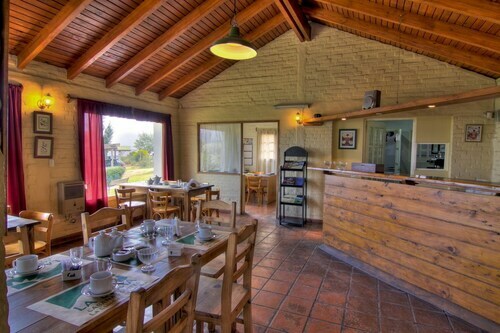 This family-friendly La Cumbre aparthotel is within 1 mi (2 km) of La Cumbre Golf Club and Church of Our Lady of Carmen. Los Cocos Park and Molino de Thea are also within 9 mi (15 km). Situated in La Cumbre, this bed & breakfast is within 3 mi (5 km) of Church of Our Lady of Carmen, Los Cocos Park, and La Cumbre Golf Club. Molino de Thea and Los Terrones Parque Autoctono, Cultural y Recreativo are also within 9 mi (15 km). How Much is a Hotel Room in La Cumbre? 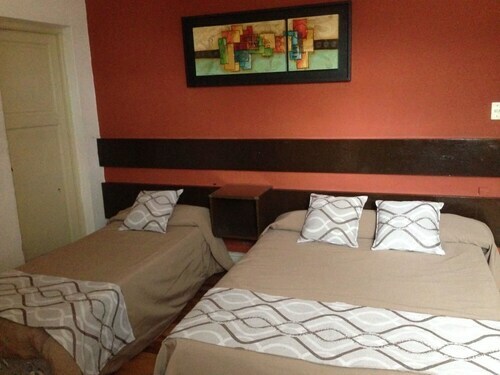 Hotels in La Cumbre start at $55 per night. Prices and availability subject to change. Additional terms may apply. Are you planning to wander through Cordoba? To experience it like the locals do, research places to hang your hat which are just a short drive from the action in La Cumbre. 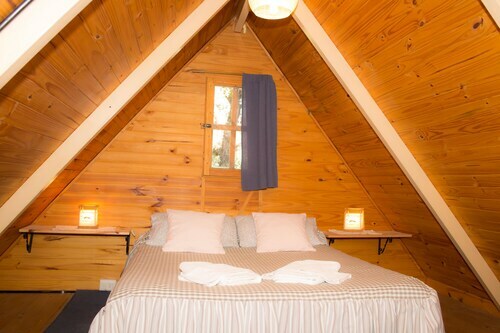 Within a 6-mile (10-kilometer) distance from La Cumbre, there are 3 modern lodging options. The Reydon Hotel is up there with the most conveniently situated accommodation options, one of a small number of choices within an easy stroll of the La Cumbre city center. The Tres Pircas Hotel & Spa can be found 6 miles (9 kilometers) from the central part of La Cumbre. If you would prefer another option, the Casa Sierras de Córdoba is located 17 miles (27 kilometers) away. 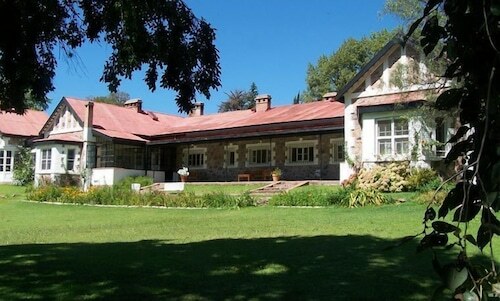 The Dos Lunas Horse Riding Lodge as well as the Reydon Hotel are two alternative places to book accommodation in La Cumbre. 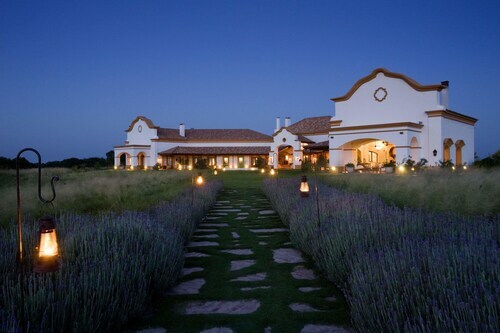 The nearest accommodation options in Cordoba include Villa Carlos Paz and La Cuesta. Villa Carlos Paz is 30 miles (45 kilometers) to the south of La Cumbre, while La Cuesta is 30 miles (48 kilometers) to the south. Travelocity-registered hotel options in Villa Carlos Paz include the Hotel Pinares Del Cerro and Amérian Carlos Paz Apart & Suites. The Urban City Hotel and Pinares Panorama are a number of the room options in La Cuesta. Make sure you get your fix of local sport by making the pilgrimage to Chateau Carreras Olympic Stadium, situated 30 miles (48 kilometers) to the southeast of La Cumbre. Modern visitors that like the thought of booking a hotel close to the stadium, reserve a room in the Sheraton Cordoba Hotel or Fader Hotel Boutique. Before you and your family depart on your adventure to La Cumbre, do yourself a favour and look through our La Cumbre accommodation and city guide where you will discover the numerous cultural attractions on offer. My husband and I spent our vacation with Casa Del Mar. The pool is great, clean, view good.\nThe new revovations around the pool are good.\n\nHowever, the room was damp even with the air pumped up. Carpet was dirty. Room not cleaned all week. \n\nWe like the quiet location and traveled over 200 miles during the week to find gas and food that was good and reasonable.\n\nIf you don't have a car, you will not find good local resturants. I would like to see and internet computer in the loby so that I could check my email. I would like to have the restaurant open for the morning. This last year we stayed in a lower class hotel, but it had meals to offer all day for only about $6 each. \n\nThe hotel is being renovated somewhat... but to be classed as a 4 star is understated. They must not get to other locations to think that they are good. The ocean is the only good thing they have to offer. \n\nThere were now recent movies in the offering. Films were at least 2 years old. So we didn't watch one... went out to rent a movie.\n\nGood luck in the future.